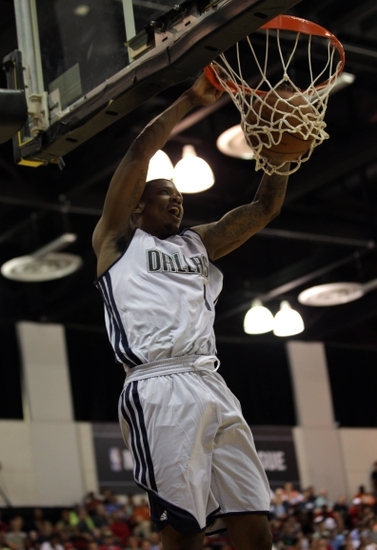 The Knicks have signed 22 year-old, 6-foot-7 guard Ricky Ledo. Ledo was a star in high school, but was unable to play as a freshman at Providence for academic reasons. After sitting out the season, he declared for the NBA draft. Ledo was and still is very raw, but was considered one of the most talented players in that draft. Milwaukee took him 42nd overall before his draft rights were traded to Philadelphia and then sent to Dallas, where Ledo has bounced between the NBA and the D-League, looking for a chance to break through. Ledo was released by Dallas last month to make room for former Knick Amar’e Stoudemire. With the Knicks set to use the remainder of the season to lose on purpose take a look at some unproven, low-risk high-reward guys who could be useful down the road, this could be Ledo’s shot. Ledo will play on a 10-day contract. This entry was posted in Articles on March 18, 2015 by Tommy Rothman.